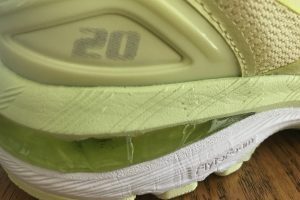 One minute it’s November 1st 2018 & I’m unboxing my gorgeous brand-new lemon Gel Nimbus 20 & taking them for their very first run. Next thing you know, here we are, 90 days later & 325 km down the road. Most definitely time for a follow-up review, methinks. So where have we been, my lovely shoes & I, in the last 3 months? Well, we’ve been out and about, and on Instagram, which is where most of the photos come from, by the way. But before I go any further, there is one thing I must tell you. I am an ASICS Running Influencer, but, & this is gospel truth, ASICS has never once even suggested that I write reviews (positive or otherwise) of their products, and just leaves me to run and enjoy them. Which is pretty darn cool. But since I am totally in love with my Gel Nimbus 20, as you might have gathered from the initial review I posted here, it was only to be expected that our love affair would continue, and I am pleased to report that 325km + 1 half marathon + several LSDs + 1 full marathon later, these shoes are every bit as great as I suspected. The photo (below) was taken last week, as I crossed the finish line at the Tata Mumbai Marathon. 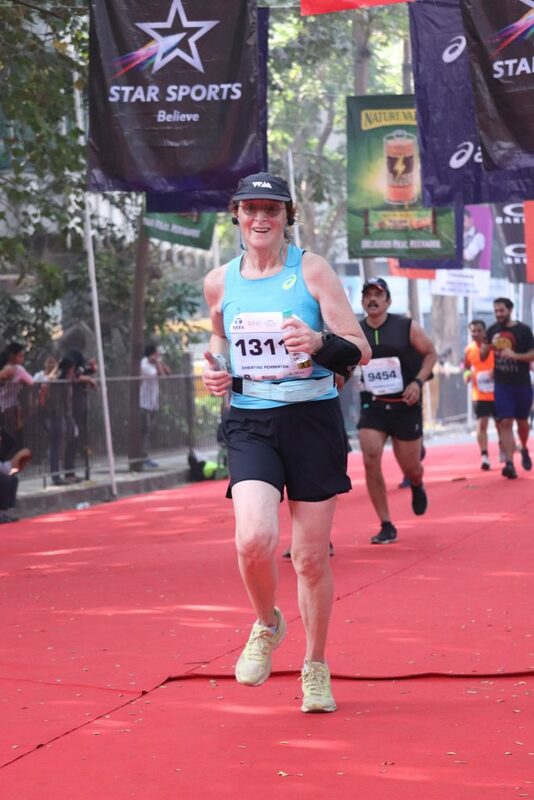 The shoes feel as bouncy and springy and cushioned as on the day I first ran in them, and after last Sunday’s full marathon in Mumbai, I had no knee pain whatsoever, and whatever slight stiffness I had in my legs was entirely my own fault, for not having stretched afterwards. In other words, 43 km (yup) and my shoes cushioned my feet beautifully. ,No blisters. No aches, No pains. We even won a silver medal (in my age category) so I’m beyond chuffed. The Gel Nimbus 20 are a wee bit heavier than my ASICS Dynaflyte, but there is a comforting, enveloping feeling to them, and the heel support is fabulous. I feel protected in these shoes, if that doesn’t sound silly. I am now training for my second marathon in a month (yes, crazy, I know) and I will again run in these lovely shoes.